Whether you call it Beverly Hills, 90210, or home the city surrounded by Los Angeles and West Hollywood is made up of a diverse array of residents and visitors. As one of southern California’s wealthiest cities, Beverly Hills is home to well-known landmarks like the Rodeo Drive shopping district, the Beverly Hills Hotel, homes of the rich and famous, and many other cultural touchstones. As a cultural and financial hub, it is not uncommon for those living and staying in the Beverly Hills area to have ties to foreign countries through family, trade or travel. If the individual is also a U.S. person, they may have a duty to disclose bank accounts and other foreign financial accounts. Failing to make a mandatory Report of Foreign Bank and Financial Accounts (FBAR) disclosure can lead to serious consequences, but steps to conceal those failures can transform a civil investigation into a criminal tax investigation. If you think that you may have made errors regarding past tax obligations, working with an experienced tax professional can help you correct those problems without creating new issues or concerns. When is FBAR Filing Necessary? Under the Banking Secrecy Act (BSA), US persons must disclose certain foreign accounts on a yearly basis. US taxpayers includes citizens, legal permanent residents or green card holders, and some others with a presence in the United States. The duty to disclose the existence of a foreign financial account to the government exists when the account balance or the aggregate account balance of multiple foreign accounts exceeds $10,000. The duration of time that the account remained above $10,000 is irrelevant; if the account balance exceeds $10,000 for even a moment, a filing and disclosure obligation exists. How can a Taxpayer File FBAR? If an FBAR filing obligation exists, the only way to satisfy that obligation is to file the FBAR online. To file FBAR one must download and complete FinCEN Form 114. FinCEN Form 114 can be located on FinCEN’s E-filing web portal. While the filing portal makes it easy to access the tools you need to file FBAR, extreme care and caution must still be exercised because it is the taxpayer who is ultimately responsible for the tax information that is submitted to the US government. What are the Penalties for Failing to File FBAR? The penalties for failure to disclose foreign bank accounts are harsh. For a non-willful failure, penalties start at $10,000 per a violation each year the account or accounts were not in compliance. If it the IRS believes that your noncompliance was willful – a voluntary or intentional disregard of a known legal duty – greater penalties may be sought. A willful violation of FBAR can result in civil penalties of the greater of $100,000 or 50% of the account balance in the undisclosed foreign account. Because 6 years of records can be analyzed when there is a willful failure, fines and penalties may exceed the value of the accounts. When there are other badges of fraud including perceived concealment of accounts, criminal tax charges may be levied. You may have left Beverly Hills and the US, but that doesn’t mean that your tax obligations have ceased simply because you are no longer physically present in the country. When you return from your overseas business venture or other activities you do not want to come back to serious tax problems. The United States is one of a handful of nations that taxes on the basis of a citizen’s or green card holder’s worldwide income. That is, if you are a US person it is, in certain respects, irrelevant if you earned the income in Los Angeles, London or Hong Kong because there is still tax due and owing on that income. And if the income is deposited in foreign accounts, an FBAR reporting obligation can arise as well. Expatriates living and working in foreign nations must be particularly cautious concerning their US tax obligations while they are still overseas. If you believe that you may have failed to disclose foreign accounts, it is extremely important that you contact an experienced tax professional. 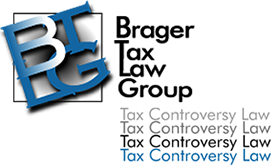 To start discussing your FBAR problems confidentially, call 800-380-TAX-LITIGATOR or contact us online today.